We’re really proud of this very special project we recently completed for Doherty Porcelain. 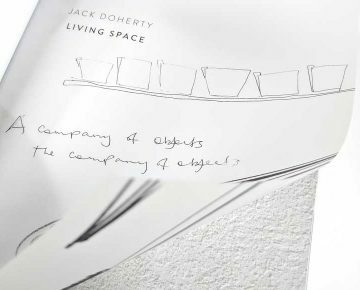 The 128-page book, titled ‘Living Space’, celebrates 10 years from the time acclaimed potter Jack Doherty arrived in St Ives in 2008 and coincides with an exhibition at the New Craftsman Gallery. 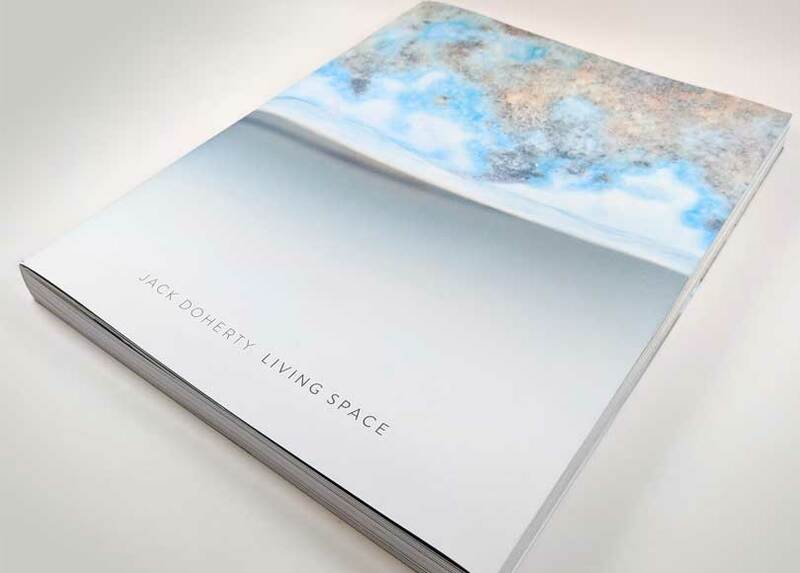 Jack lives and works from his home and studio in Mousehole, Cornwall overlooking the sea. He makes porcelain vessel forms that are thrown on the potter’s wheel then carved and shaped when the clay is soft to reflect the fluidity of the material and physicality of making. This book is a celebration of his work – which is of an exceptionally high-quality. Therefore it needed to look and feel very special. After all, it was telling the story of one of the UK’s most respected names in porcelain. Individually perfect-bound, with translucent interleaved sheets. Working to a tight deadline. Exclusively printed on our brand new Ryobi instant-drying press, the inside 128 pages were printed on a 200gsm Arcoprint stock, with two special Transclear White translucent sheets complete with designs individually-bound into the book. The cover was printer on a 350gsm Arcoprint EW. This wood-free paper has a high-tech, cool white base guaranteeing excellent printability. Naturally elegant, Arcoprint 1 EW is held in very high regard in publishing and printing industries. Individually perfect-bound, the book was finished with a 140gsm dust jacket. Using the same press, the same experienced press-operator for the entire project, combined with a press pass with the designer ensured that colour reproduction was accurate and consistent across all stocks. 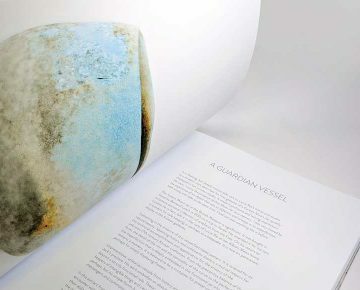 The book was written and curated by Sarah Frangleton, designed by Fiona Routledge and features photography from Rebecca Peters and Ellen Doherty. Just to say the books arrived and we are so pleased with them. They are beautiful as an object to feel and hold as we wanted. Looking forward to another project already!